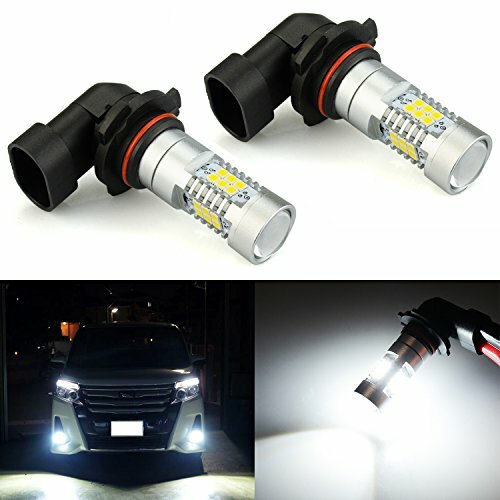 JDM ASTAR 2520 Lumens Extremely Bright PX Chips H10 9140 9145 LED Fog Light Bulbs with Projector for DRL or Fog Lights, Xenon White by JDM ASTAR at Kart Racing Network. MPN: H10-PX-21W-2520. Hurry! Limited time offer. Offer valid only while supplies last. (Set of 2 Bulbs) Each bulb has 21 piece high power PX LED chips. Buy with confidence, We offer "ONE YEAR" warranty on item(s) that confirm to be manufacturer defect. Color:6000K Xenon White. Lighting Output：2520 raw lumens, 1260 lumens for each bulb. Voltage:12V to 24V.